Blackhawk Boots are among the best tactical boots in the World, and are in use as a combat boot with Police SWAT teams in the USA and with Close Protection teams in the Middle East and Africa. Many Blackhawk Warrior Wear Boots feature Vibram® Soles, that provide excellent traction on irregular surfaces and give the combat boot that extra edge when training. Blackhawk Desert Boots are in use by a number of Special Forces Units and the Blackhawk Black Ops Boots is used by Police Forces worldwide and is a great police patrol boot. Blackhawk Light Assault Boots in Black, the lightest, most agile black tactical assault boots around. These Warrior Wear Blackhawk Assault Boots in black ventilated, quick drying capabilities make them ideal for waterborne operations, SWAT and police firearms. They're widely used in tactical assault operations in the Middle East and Africa. Another great boot from Blackhawk! 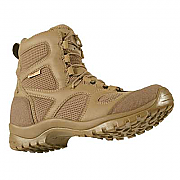 Blackhawk Warrior Wear Light Assault Boots in Tan, the lightest, most agile tactical assault boots around. 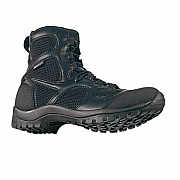 Blackhawk Warrior Wear Black Ops Boots, fast, light and comfortable non-metallic boots with waterproof SympaTex® barrier. 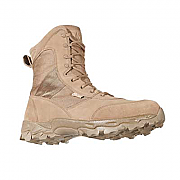 Blackhawk Warrior Wear Desert Ops Boots, great desert combat boots from Blackhawk. Waterproof, light and durable desert combat boots. 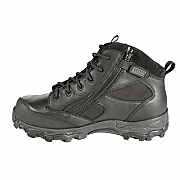 Blackhawk ZW5 Side Zip Boots in Black, 5 inch side-zipped lightweight boot with excellent traction on irregular surfaces. 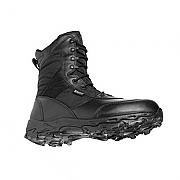 Blackhawk Warrior Wear Side Zip Boots in Black are fast, light, comfortable, easy to put on, and waterproof. This boot is a 5 inch version.